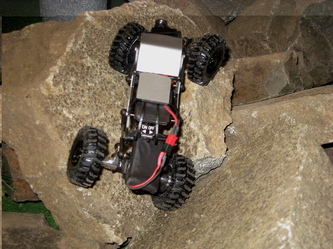 The TMC by Blade at CrawlerX.net may very well be the most advanced chassis to date for the Losi Micro Rock Crawler. There is nothing else like this anywhere out there. 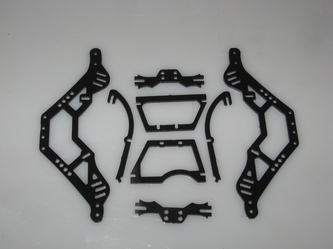 The Blade TMC chassis is cut from Delrin (one of the toughest plastics out there) to give you a system that is both tough and looks good too. 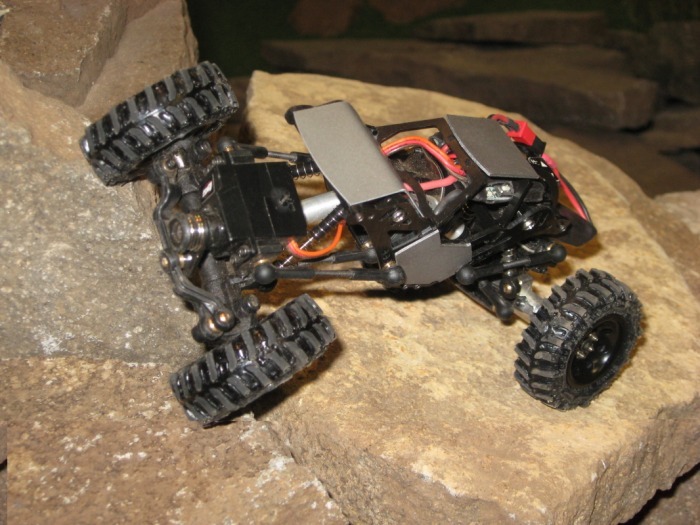 The twin vertical plate chassis is a scaled down version of a full sized crawler tuber chassis and even has an off-set cab with roll bars. The stock cross members from your original MRC chassis is needed to complete the build. Stock links or custom extended links can be used to alter and set your wheelbase. 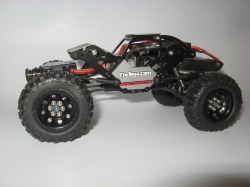 The TMC also gives you somthing no other chassis kit on the market can even come close to....multiple suspension link, transmission, and shock mounting options. 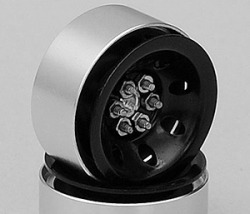 Lets run this down real quick, for upper link mounting there are four holes front and rear. For shock height each shock mount has two sets of holes and can be mounted inverted to give you a total of four different height settings. Shock angles are set by mounting the shock mount in one of three (both front and rear) slots in the chassis plate. 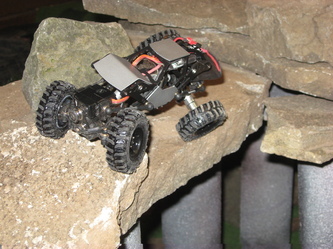 The the transmission can also be mounted in one of three positions along the bottom of the chassis enableing the user to adjust weight bias forward or aft. WOW! 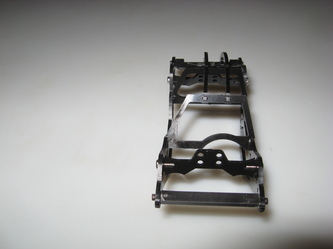 and the mounting slots in the chassis plates. At first glance I thought this was a bit odd for a crawler chassis and I was skeptical that it would stay together. After I got it all assembled I was pretty impressed with how sturdy it actually was! 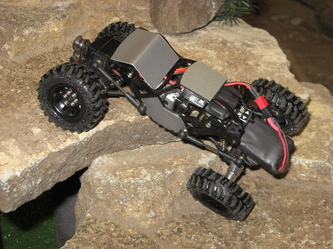 The off-set cab is also cut and mounted in such a way that it adds to the 3-D effect of the chassis. 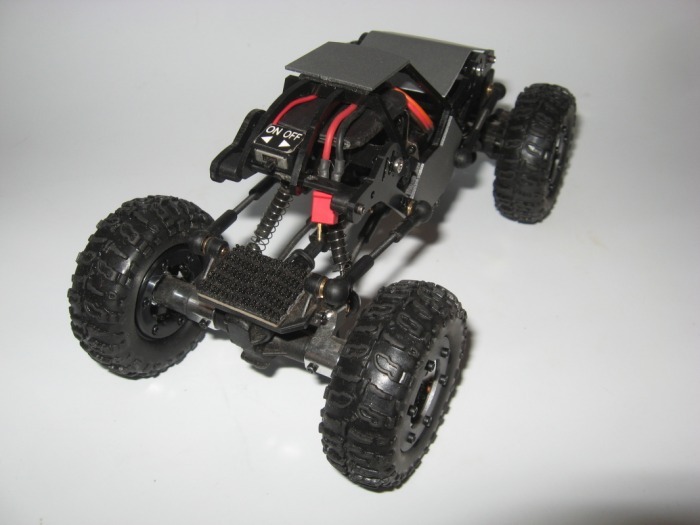 Other tuber chassis kits use just the two plates with very straight cut angles, and the effect is boxy and a bit unrealistic....but the TMC is rounded and the cab adds even more angles....it really is an awesome looking chassis. 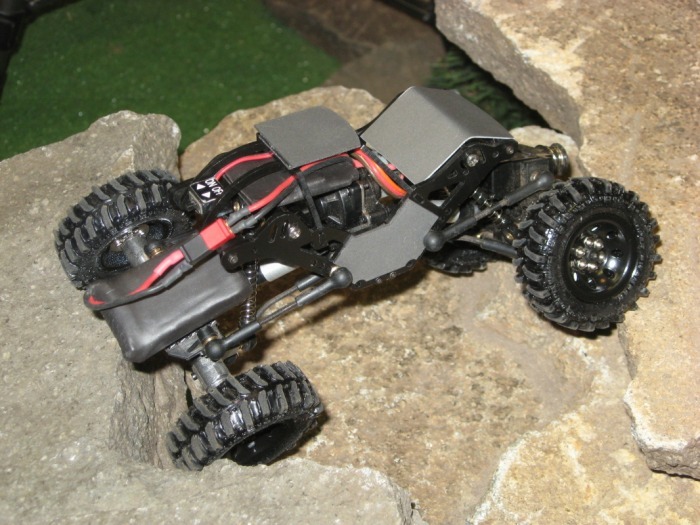 So far we have a great looking 3-D chassis with a multitude on suspension mounting options, but does it crawl? Read On....we are just getting warmed up here. 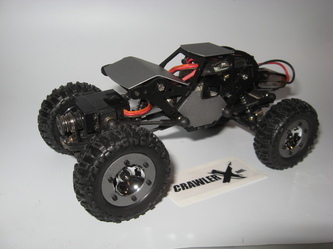 This is a chassis with lots of options, my set-up as listed below is not the only way to go. With this many options EVERYONE should be able to find the sweet set-up for the surface they crawl on. Now lets get down to the real nitty gritty....does this thing work or is it all hype? How does it compare to the other chassis on the market? 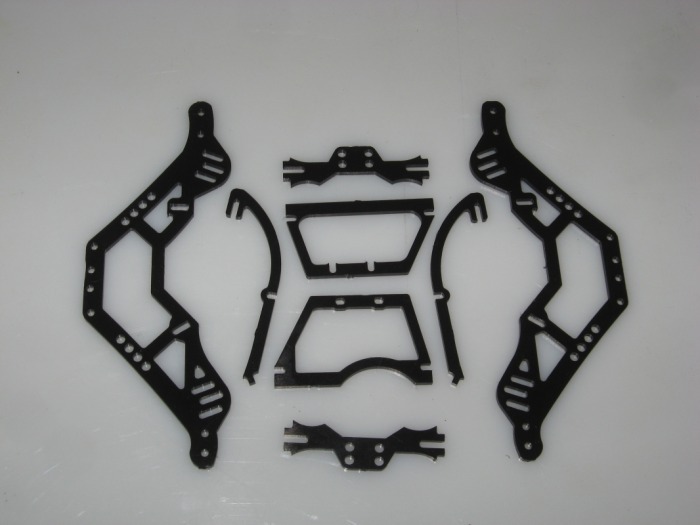 First, and again, this chassis has a multitude of suspension link and shock mounting options....with this many options it is going to be possible for EVERYONE to find a sweet set-up that will work for them. Being cut from Delrin the chassis is amazingly tough (Delrin is one of the strongest plastics out there) Oh and this chassis looks killer, it is really the most attractive of all the chassis kits out there, you end up with a crawler that is a scaled down version of the real thing. 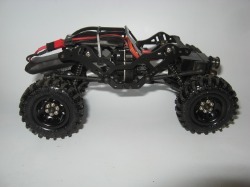 Is it "Better" than the other chassis kits? 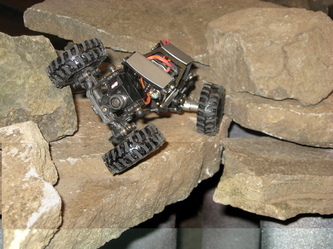 I have found "Better" to be a relative term...each chassis I have tested all can be made to articulate, and to tackle the obstacles on my course. 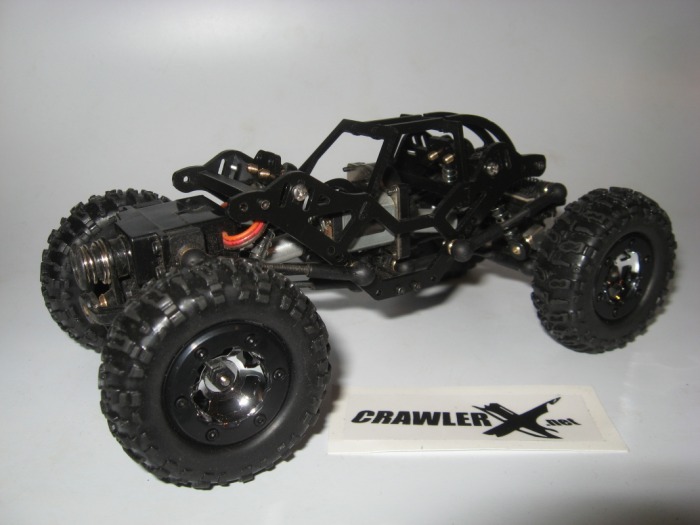 Each chassis has it's own strengths and weaknesses and really depends on the kind of terrain you are crawling on, if you want a body or tuber frame crawler, and the depth of your wallet to decide which is right for you. The TMC offers the crawler enthusiast a chassis with unlimited adjustments, good looks, and great performance but you are restricted to running it without a body. Some really like this look, some will not....I have not tried it yet but I am pretty sure the cab can be removed and body posts installed for those who do want all the adjustments and a body too. 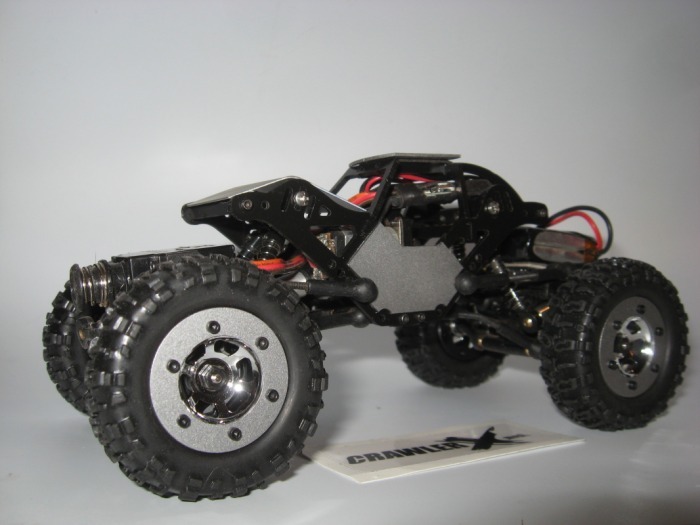 #3 This is an ADVANCED chassis, meaning it has all the adjustments you could hope for....it also means that you need certain soldering skills, wheel weight knowledge, and set-up skills to complete this kit and make it work. The New guy who just bought his first Micro and wants to try this chassis should email or PM either Blade or myself if they get stuck or need help with the set up of this chassis, we'll be more than happy to help! 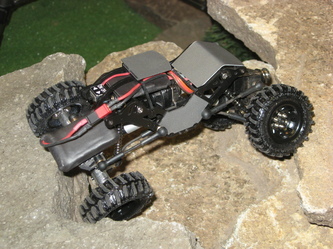 If you feel you have the skills then go for it....this chassis rocks! #4 As you read in my set-up, I used a 1S LiPo for the testing and I do feel this is a great low power chassis....larger 2S battery users may experience some fitment problems....make sure you think everything through and test the suspension movement with the battery you choose to use. 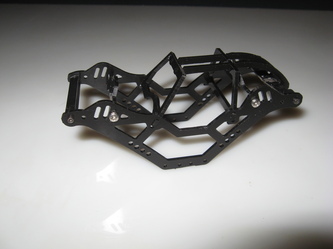 #5 This chassis will get a full TWO THUMBS UP rating from the Dog, I like it enough that will will become my favorite Micro crawler and this chassis will stay installed on my best truck for quite some time. One thing everyone has wanted since these little crawlers first hit the market is a set of actual working Bead Lock wheels. So everyone was excited when RC4WD offered up the new steel bead lock wheel sets. This is going to be perfect! 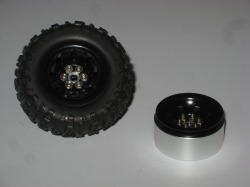 Steel wheels with actual lug nuts, and super hot scale looks! I ordered up my set and waited for the mailman to bring me my package, when it arrived I was like a kid at Christmas and tore into the package....woohoo! 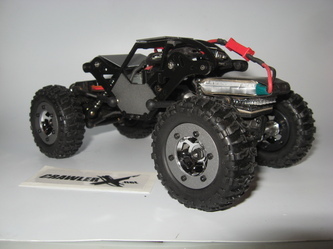 I had a fresh set of stock Losi tires all set and waiting and started in on the assembly of the wheel set.....but almost instantly ran into a huge problem. 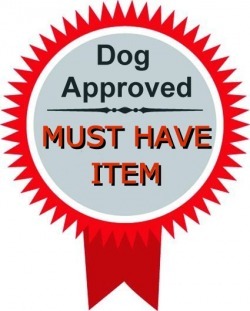 but I already have them (and am $35 in the hole) so I WILL make them work! I decided that gluing them was the only way they would work. Ditching the aluminum bead lock ring made it easier to add a ring of pencil lead and lead shot to the inside of the tire/wheel. 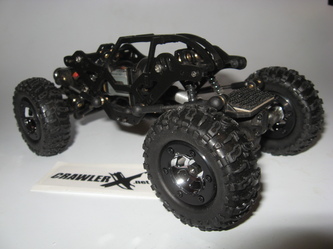 Now to add insult to injury...I went to install the wheels on my crawler and found that the lig nut pattern is so tight that you can not install the axle nut! WTF! I went to my box of parts and pieces and found a set of old alloy Mini-Z axle nuts (same size but taller and alloy) with these I was able to get a few threads on, enough to hold them....but what a pain! So now to my rating on these.....I am sorry guys but these are simply NOT worth it. One, they cost a bunch! Two...they do not fit, they do not work.